We’re all too familiar with how businesses try to attract you to their products or services. Discounts, big sales, and seasonal promotions are some examples of how they’d attract you to their shops, but what comes next in enticing you to come back? That’s where loyalty programs come in. Many studies have shown that thanks to our digital era, Asian consumers are shifting away from being mindlessly loyal to brands. Instead, they go back to merchants with perks that can benefit them in a long run. You can see it from airlines like AirAsia offering their BIG frequent flier miles points to cafés and restaurants who offer a hefty discount on meals for members. This is the one strategy that most Malaysian merchants are implementing to increase their revenue, and Fave wants to help prove that their FavePay feature is one of the ways to go. Let’s get one thing straight first: FavePay isn’t just another mobile wallet. They identify themselves as a mobile payment aggregator where their users can make cashless payments to offline merchants. But aside from being a cashless initiative in Malaysia, FavePay eyes merchants who want the perks of offering loyalty programs to their customers but don’t want to go through the hassle of starting member card programs and so forth. FavePay’s answer to that is by letting local merchants give up to 20% cashback rewards on their next visit, which encourages repeat visits and rewards loyal customers too. They don’t want it to be complicated, so there’s no requirement or criteria like any tech integration or bulky hardware to sign up for FavePay. 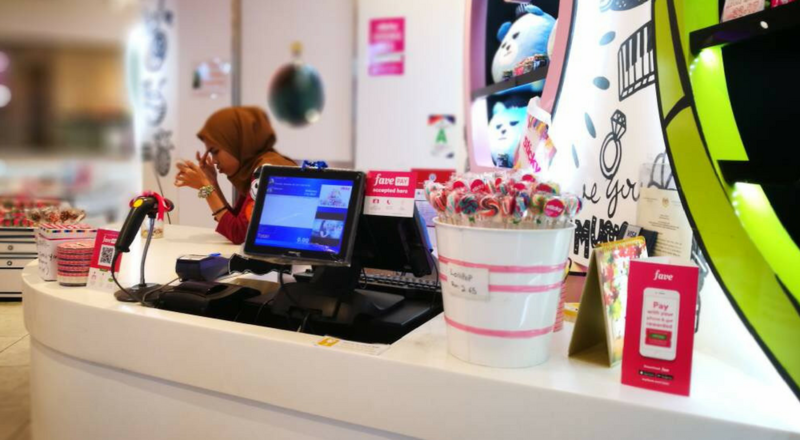 “All you need is a bank account for us to transfer the money to, a smartphone to access FaveBiz (a system that lets merchants track their results), confirm that a transaction has been done and that’s it,” said Wong Chee Mun, the head of marketing from Fave. I wouldn’t say there’s a stark difference between those who have their own loyalty programmes compared to those who use FavePay. But Fave offers an extra benefit for all their merchants. The platform has an existing base of 3 million subscribers in Malaysia who buy deals on the platform daily. From there, they can help retarget these customers and direct them to specific outlets. It’s a quicker way in getting new or existing customers to know more about the brand, which I think is pretty handy for those who are looking for brand awareness. All merchants have their own needs. Some might want higher brand exposure while others might prefer to know their footfall. Fave recognises this, so they offer 2 different propositions for their merchants—FaveDeals and FavePay. “With Deals, it is a great way to acquire new customers, drive off-peak timing and even introduce new items among other things. Whereas with FavePay, it’s all about driving customer loyalty through cashback and convenience,” said Chee Mun. It seems to be working as FavePay already has 600 outlets using their service. Their first month itself saw an increase of 577% of cashless transactions among their merchants and an increase of 421% in sales. Since then, the platform has seen a huge growth in customer adoption while their merchants have claimed FavePay helped increase their average order value. And they’re moving towards an inclusive future. Some of the merchants you’ll see using FavePay are quite big—most of them are probably regular shops you go to on a daily basis. But soon, you’ll start seeing more than just large and established brands. FavePay’s next step is approaching smaller merchants, those who aren’t necessarily found in malls but still are hotspots among Malaysians. 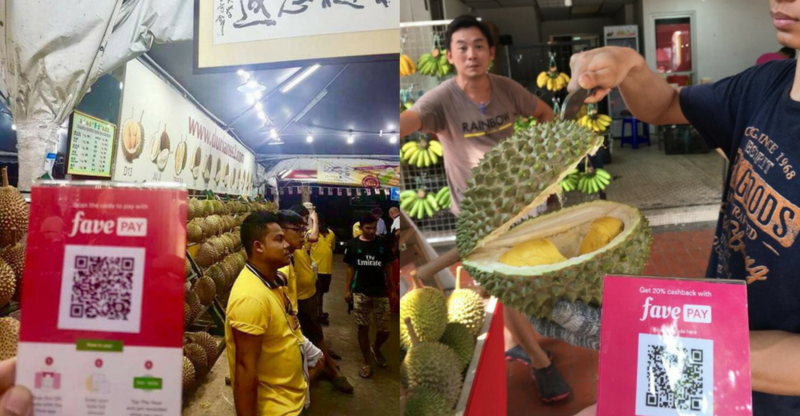 An example is the famous Durian SS2 stall. Their next goal is to aim for Penang hawkers, so you can look forward to perhaps paying for your next plate of char kuey teow using an app. I wondered whether these smaller merchants would get the same benefits as the bigger names. “For local merchants, it is all about helping them get online and make their processes even more efficient,” said Chee Mun. FavePay’s plan for the upcoming year is to reach out to more F&B outlets in Malaysia. “We strongly believe in the value proposition of FavePay and as our mission to help local businesses succeed, we want to ensure every F&B business enjoys FavePay and move towards a cashless society,” said Chee Mun. It’s a simple strategy that we often overlook but merchants should see how effective it is. According to the 2016 Visa Consumer Payment Attitudes survey, 74% of Malaysians preferred to make electronic payments rather than use cash so I really do think more shops should jump on board the idea of giving more to their customers than just an easy way to pay. I’m personally excited to see more merchants adopting this loyalty program method. It’s pretty much a win-win situation in my eyes. Merchants get more sales, we get more perks, so if I can add these benefits into my daily transactions, all the better. This article was written in collaboration with Fave.